The bars contain only 35-44 calories so they are a healthy alternative for high calorie sweets. 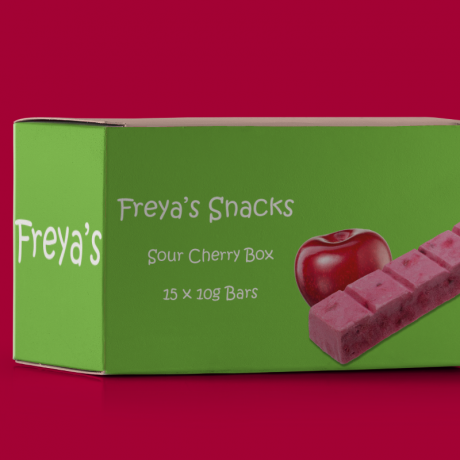 Unlike any other fruit bar currently available, Freya's are deliciously light and satisfyingly crunchy with a burst of flavour! Sour cherries (30%), fruit extract (carob, apple, grape) and fruit juice concentrate (apple, grape), trehalose, maltodextrin, gelling agents: pectins.